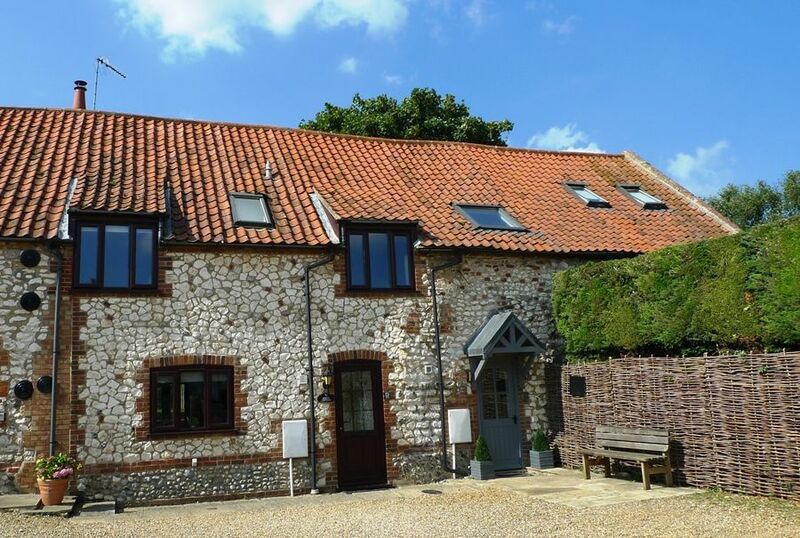 Heron Cottage is a comfortable holiday cottage which is part of the Manor Farms collection of converted, traditional, 17th-century chalk and flint barns, set in their own well-maintained grounds in the heart of Thornham village. 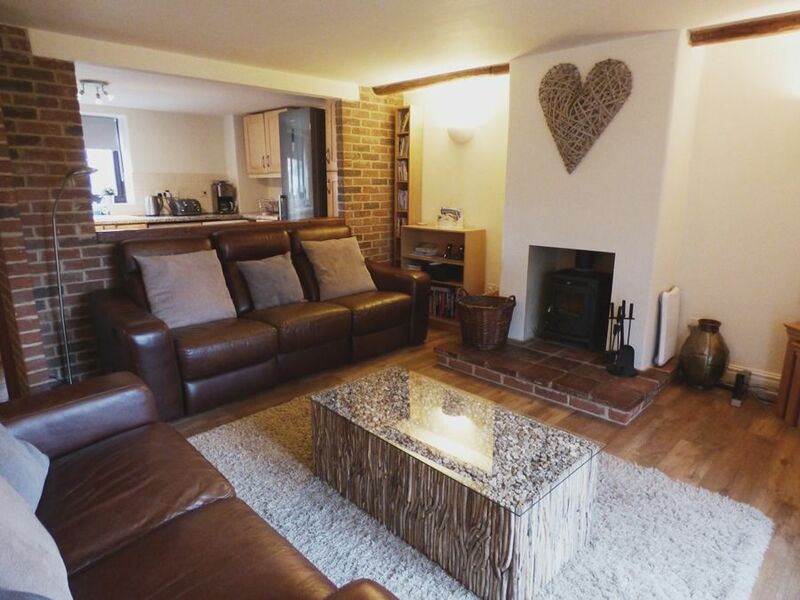 The cottage is ideally situated for those wishing to explore the delights of the beautiful North Norfolk coast, within easy walking distance of three excellent local gastropubs, Thornham deli and the coastal path. 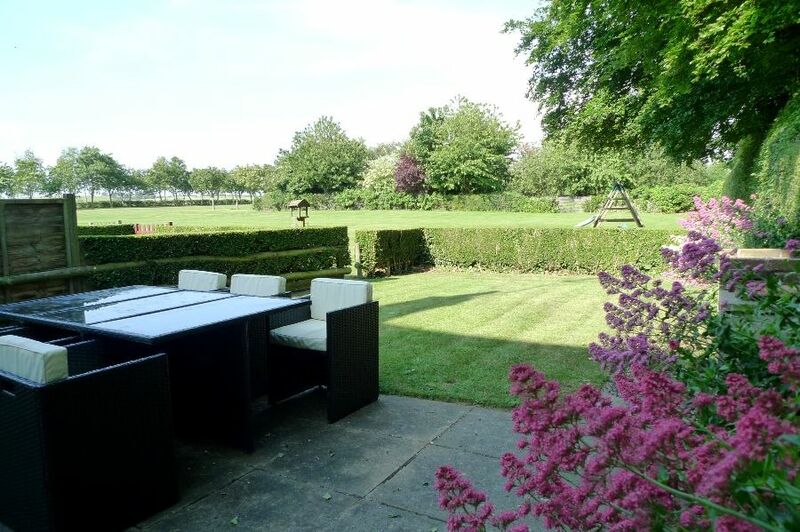 It is particularly suited for families with young children as the garden backs onto a large communal playing field with a children's play area and a pitch and putt course. 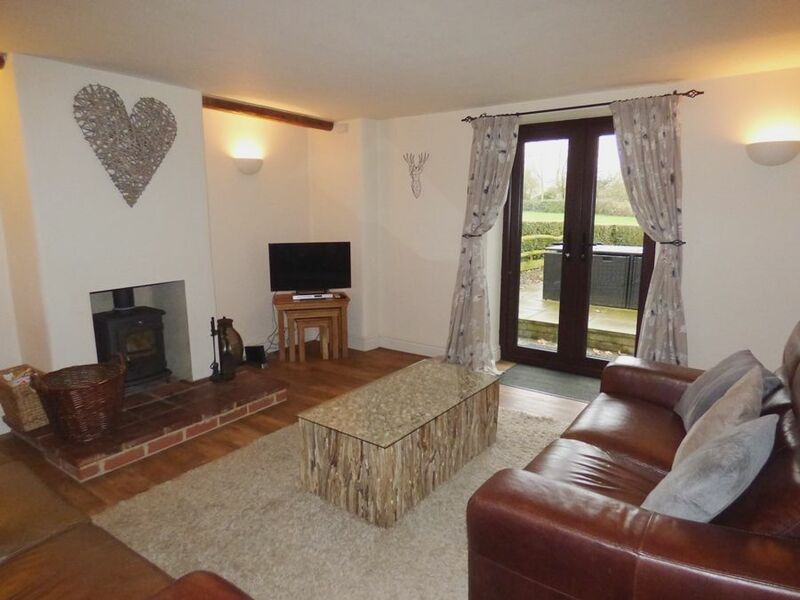 On the ground floor there's an open plan kitchen and living area with French doors to the garden, and a shower room. 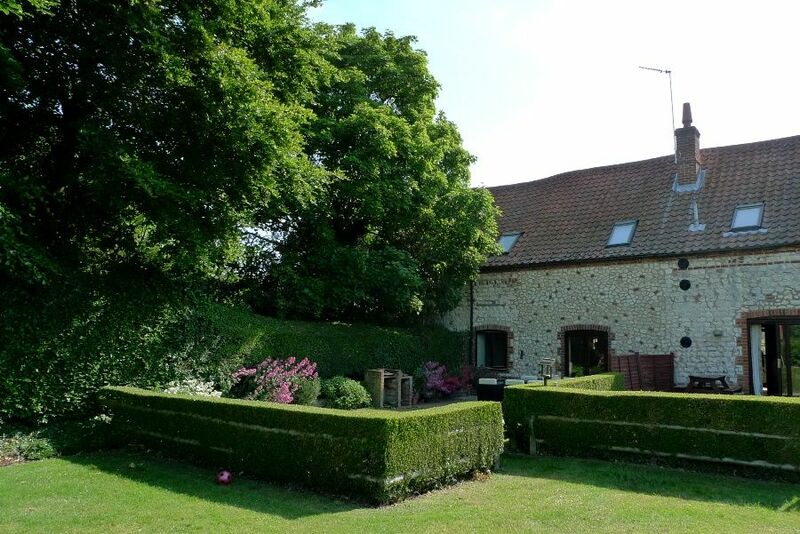 Upstairs there are two double bedrooms, one twin room, one single room with a truckle bed and a family bathroom. 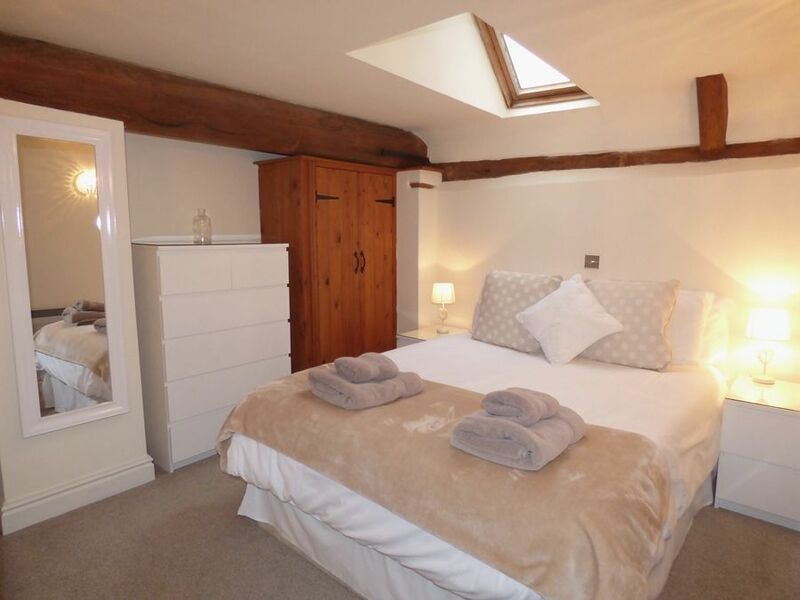 Please note that although this cottage has 8 beds, the living space is best suited for a maximum of 6 adults. 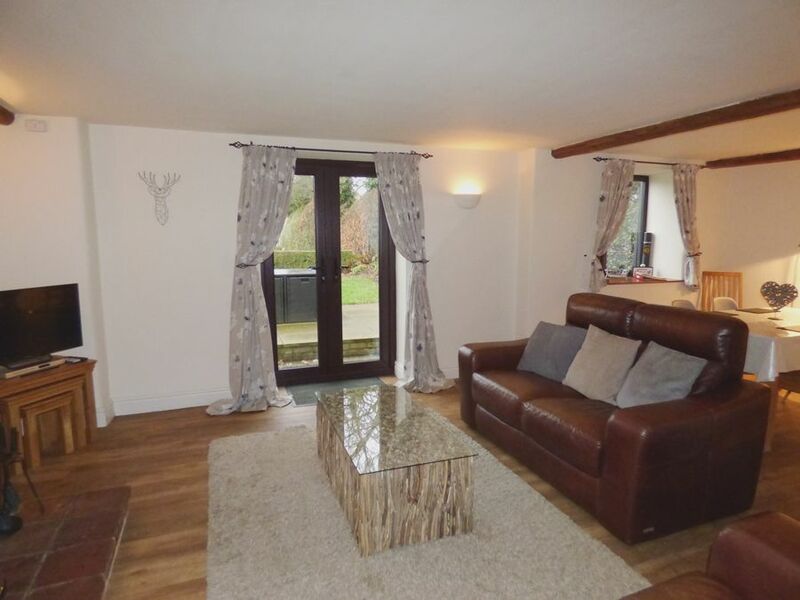 Open-plan with newly laid wooden flooring throughout. 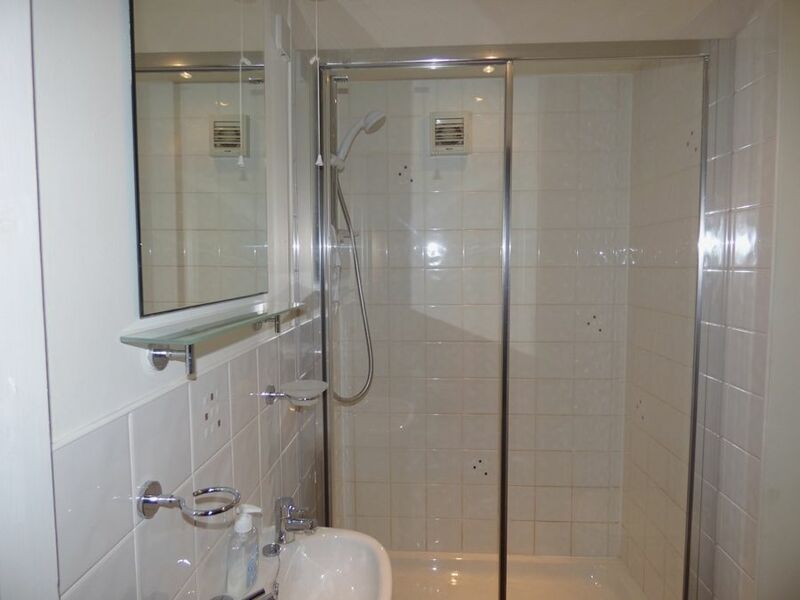 Shower room: with an electric shower cubicle, hand basin, heated towel rail and WC. 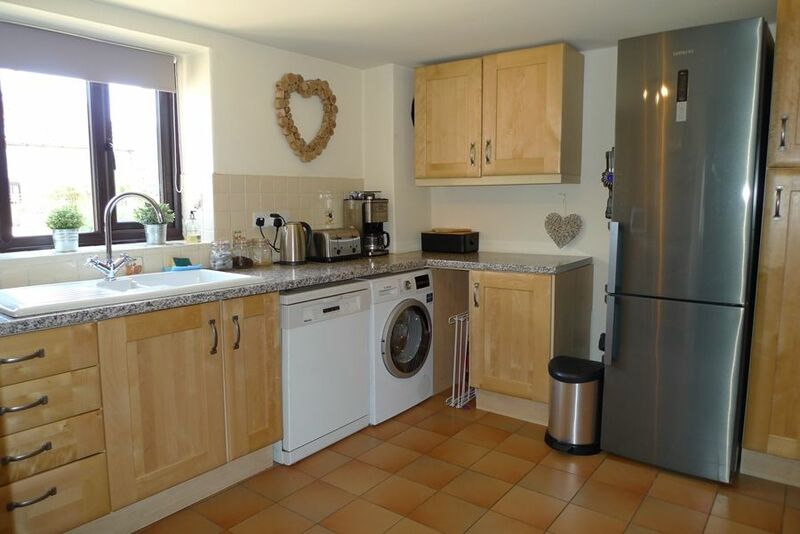 Kitchen: well-equipped with maple fitted kitchen units, a brushed steel electric range cooker with large ceramic hob, dishwasher, washer/dryer, fridge/freezer and a microwave. This opens directly into the sitting/dining area. 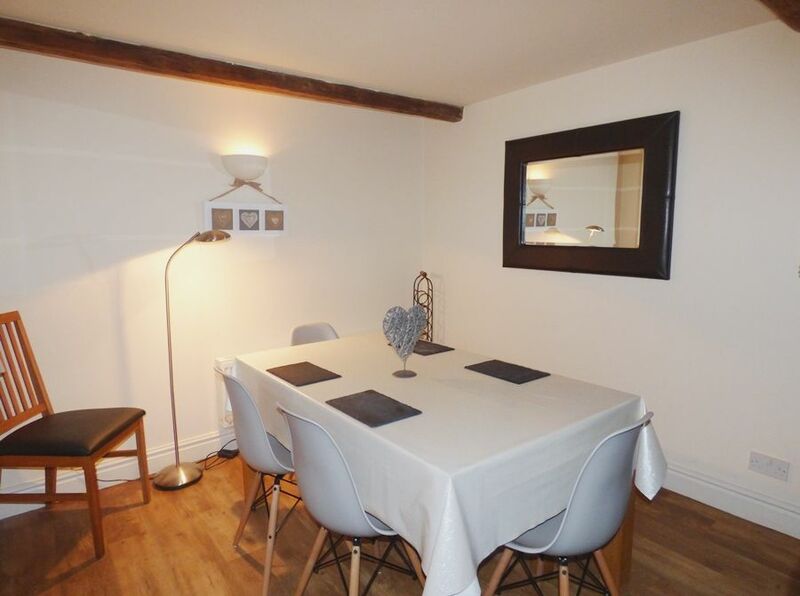 Sitting/Dining room: has original ceiling beams with a newly installed wood-burning stove in the exposed brick fireplace, two large leather sofas, coffee table, flat screen TV, DVD player and French doors to the garden. There's a dining table with 4 chairs and a bench seat, which may be extended to seat up to 8 guests. Stairs are not steep and there is a hand-rail. 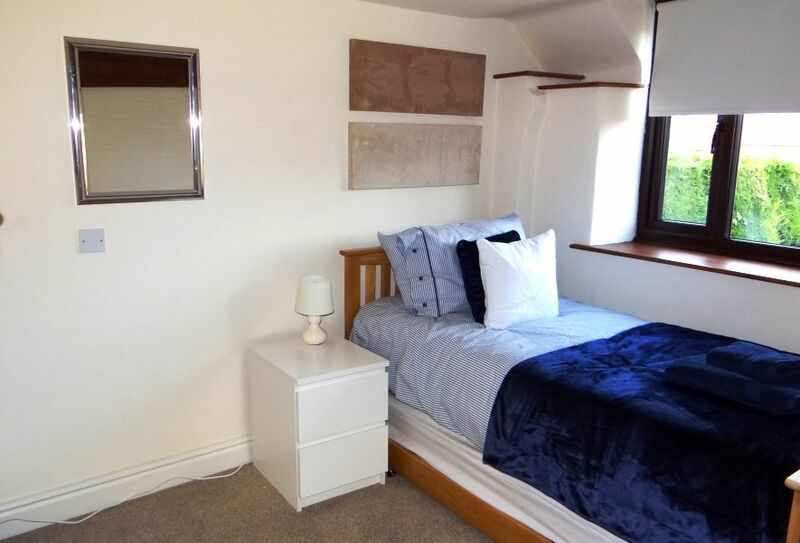 Bedroom 1: has a super king-size bed, bedside tables and lamps, chest of drawers, a wardrobe and a velux window. 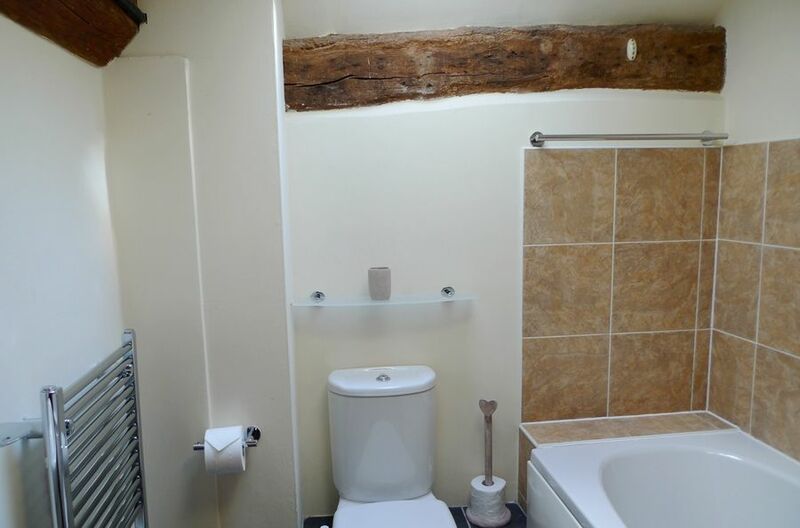 Please note that this room has a low beamed ceiling, so guests should take care! 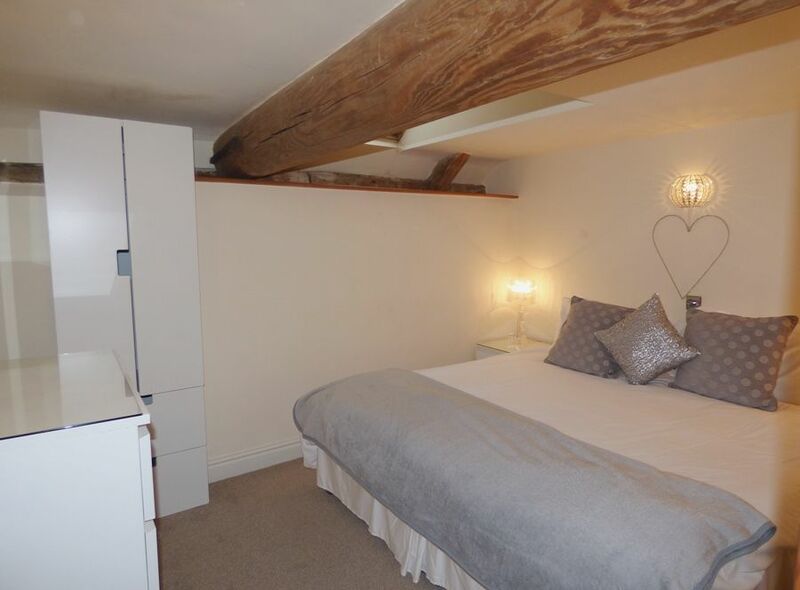 Bedroom 2: has a double bed, bedside tables and lamp, built-in wardrobe, chest of drawers and a velux window. 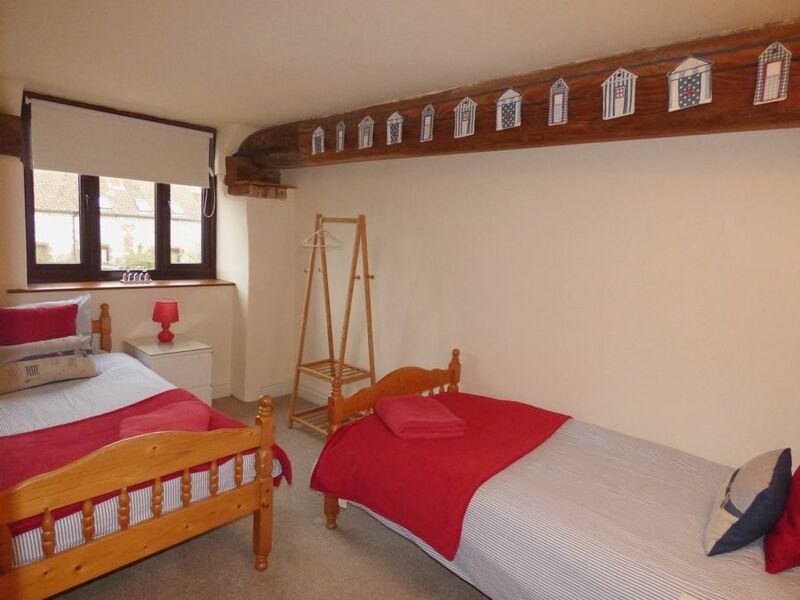 Bedroom 3: more suitable for children with low twin beds, bedside table and lamp, chest of drawers. Bedroom 4: has a full-sized single bed with a truckle bed stored underneath (which lifts up to full height, so may make a super-king bed). 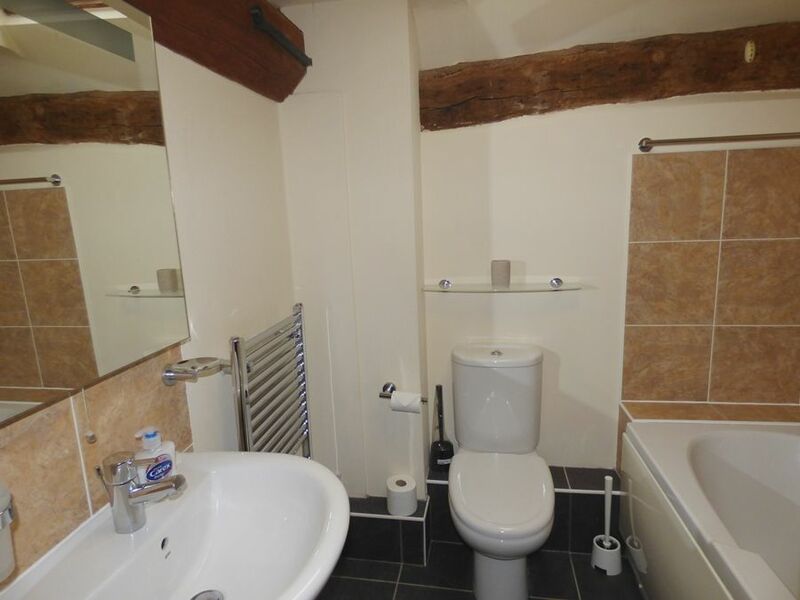 Bathroom: has a bath, hand basin, heated towel rail and WC. Heating is by individual wall-mounted electric radiators, thermostatically controlled. Could guests please ensure that radiators are turned off when they leave the property. There is a large shingled drive into Manor Farm cottages, with plenty of off-street parking space in the circular communal drive at the front of Heron Cottage. 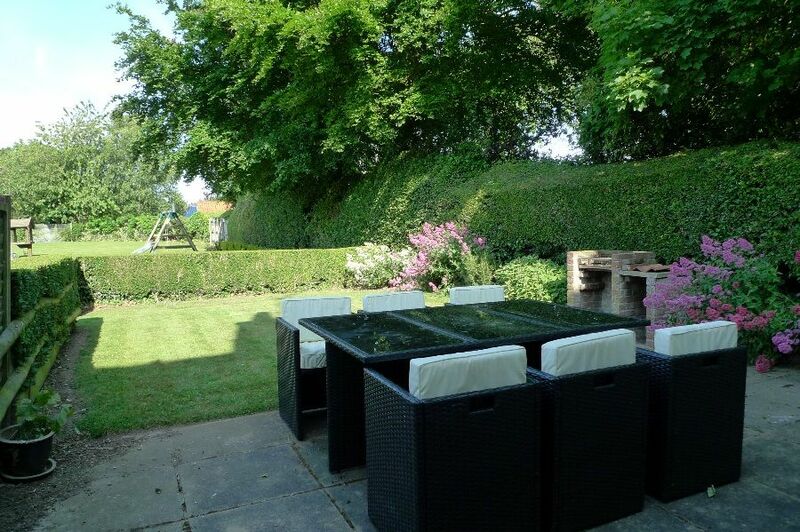 There is an attractive enclosed rear garden which is lawned with box hedging and a patio area with rattan table and chairs seating 6. There is the advantage of a brick barbecue for guests to use. 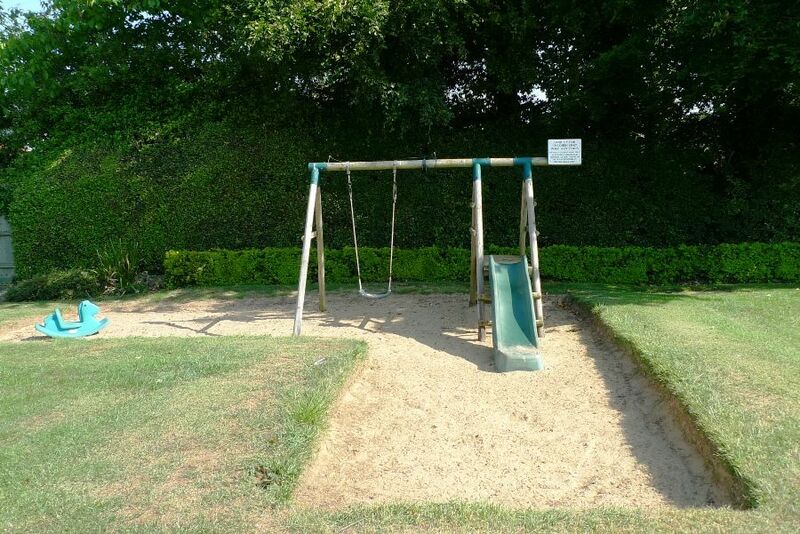 There is a small gate from the garden which leads directly into the well-maintained communal playing field with a children's play area and a pitch and putt course. 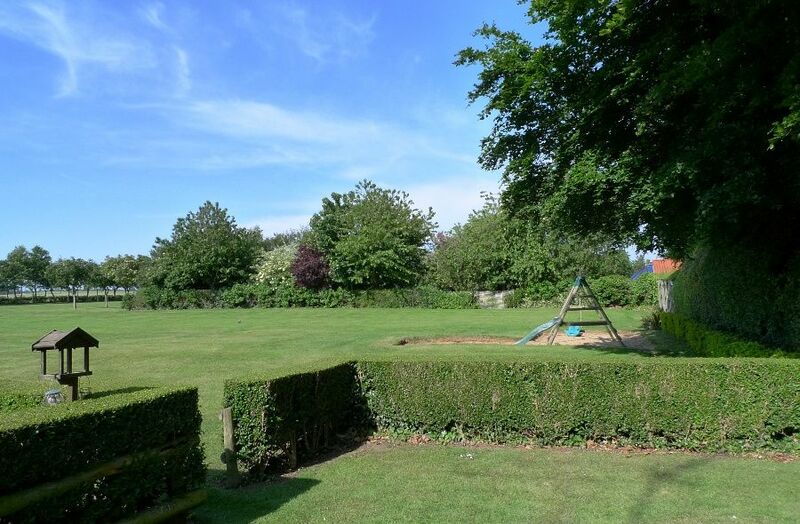 From here there is direct access to Thornham's deli and cafe, a larger children's playground and the tennis court. 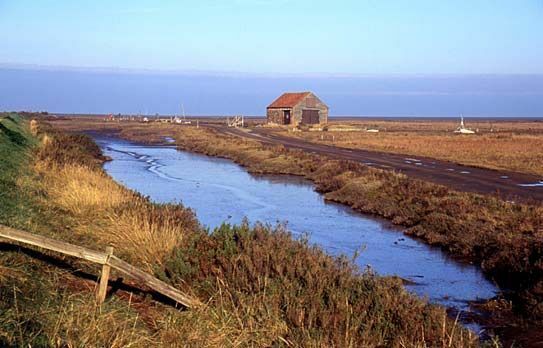 At the western end of the North Norfolk coast, Thornham is situated on the scenic A149 coastal road, roughly half-way between Hunstanton and the Burnhams. This is a village of fewer than 500 inhabitants, however it is now one of the most popular coastal villages in the area with its excellent selection of places to eat, the unspoilt coastline and nearby RSPB reserve at Titchwell. There is a beautiful unspoilt beach for those willing to hike the mile or so out along the coastal path, but the characteristic landscape here is one of marshes and salt water inlets. Thornham had a prosperous harbour 200 years ago (particularly for smugglers it seems), and still has a small boat harbour today, as well as rugged Thornham Creek, which is a popular spot for artists and photographers. Down by the marshes The Lifeboat Inn, built in the 16th century, provides excellent food and drink throughout the day. In the centre of the village, locally caught seafood is served at the award winning Orange Tree gastro pub, opposite All Saints church which is an impressive building with 15th century foundations. Thornham has a third good place to eat - The Chequers Inn which serves delicious home-cooked pizzas and is ideal for families. Thornham has a great range of local amenities with the excellent Thornham deli, shop and cafe, a childrens' playground and a tennis court. Just along the coast road heading towards Hunstanton is Drove Orchards which opens seasonally for the sale of a wide range of locally sourced fresh foods from its award-winning farm shop, has an amazingly wide variety of pick-your-own fruits, fishmonger, lifestyle shopping, plant nursery and play area..
One of Norfolk's best places for fish and chips is Eric's Fish & Chips (behind Drove Orchards) which is owned and run by a chef formerly at Titchwell Manor. It offers delicious freshly cooked fish and chips to eat in or takeaway. 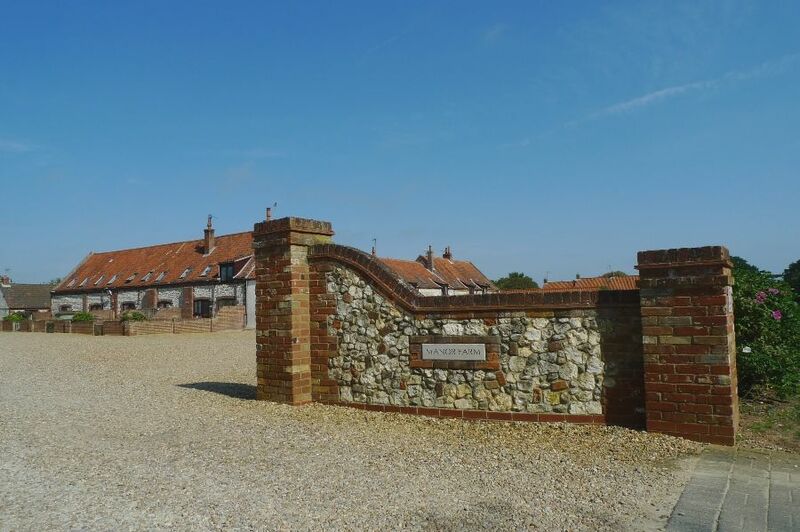 If you would like to see more of our holiday homes in and around the Norfolk coastal town of Thornham, please click here.